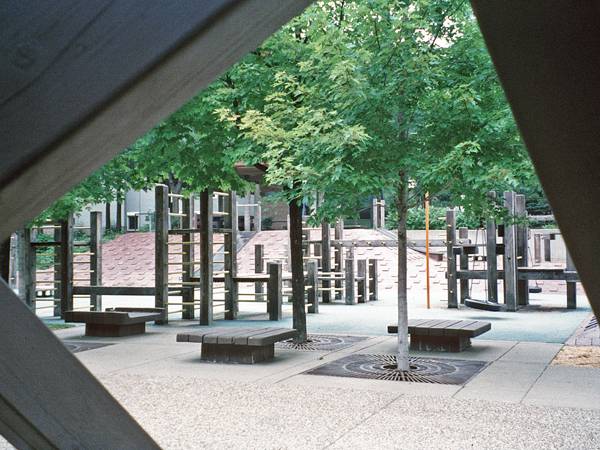 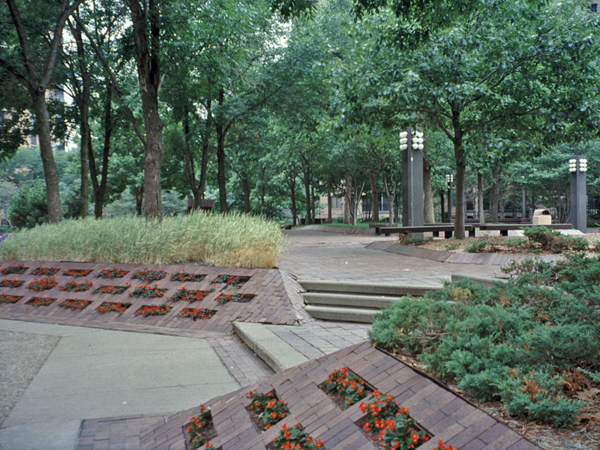 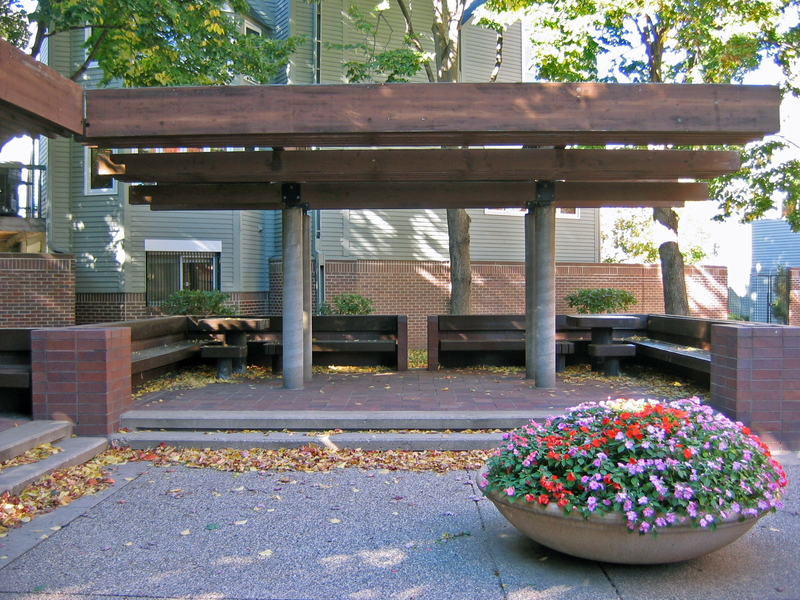 Following the tremendous success of Lawrence Halprin’s design and conversion of Nicollet Avenue into the pedestrian-friendly Nicollet Mall in 1967, and the 1973 design for Peavey Plaza by M. Paul Friedberg and Associates, this 20-acre project, also by Friedberg, was designed to connect Loring Park, the oldest mapped park in the city to Lawrence Halprin's Nicollet Mall. 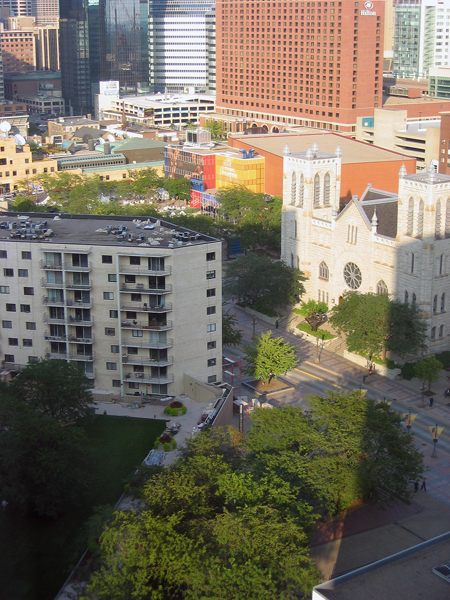 Whereas earlier projects catered to the city’s business and commercial sectors, the Loring Park Redevelopment District aimed to encourage high-density, low-rise development (residential and a hotel complex). 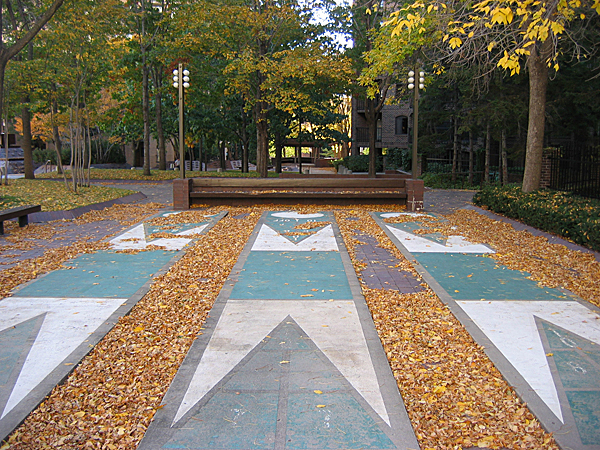 The results were 2,500 residential units and a 1/3-mile greenway. 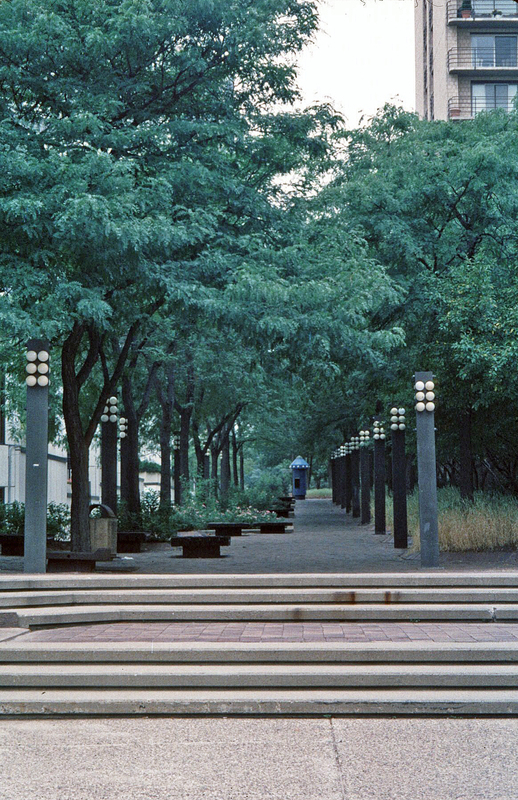 Unlike other greenways constructed during this time, multiplying in suburban areas and taking advantage of their natural resources, this greenway was urban in nature. 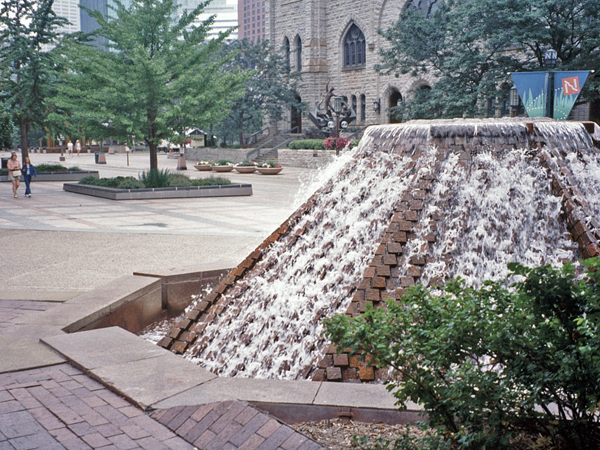 It was composed of a series of open spaces, beginning with an entry plaza along the mall, and moving westward, by way of a pedestrian bridge spanning La Salle Avenue, to conclude at Loring Park, where a new mist fountain was constructed as a terminating focal element. 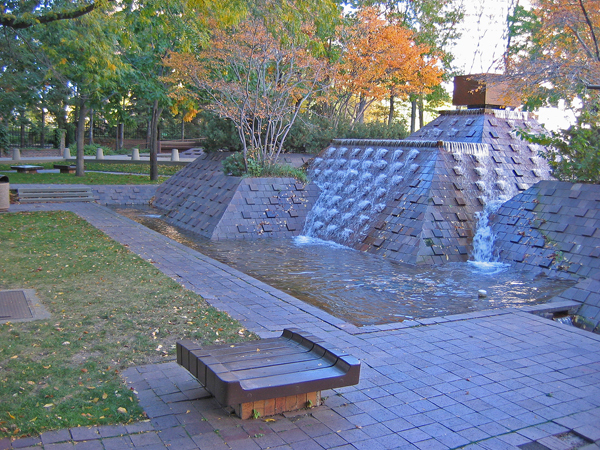 The rich sequence of pedestrian-scaled spaces includes diverse water features (fountains, sprays, channels), pavilions with tables and chairs, public sculpture, a sunken playground, shuffle board courts, and a site-specific furnishing palette of kiosks, bollards, seating and lighting.